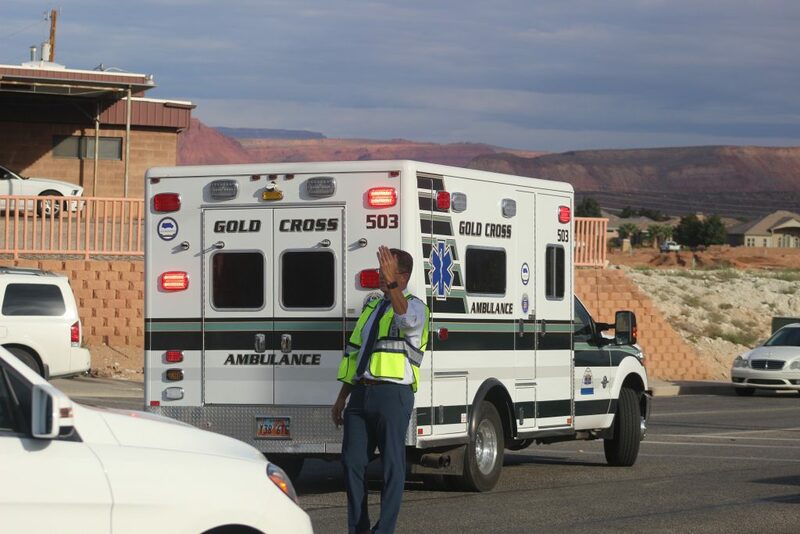 ST. GEORGE — A motorcycle rider was taken to the hospital Tuesday afternoon following a collision with a pickup truck on River Road. 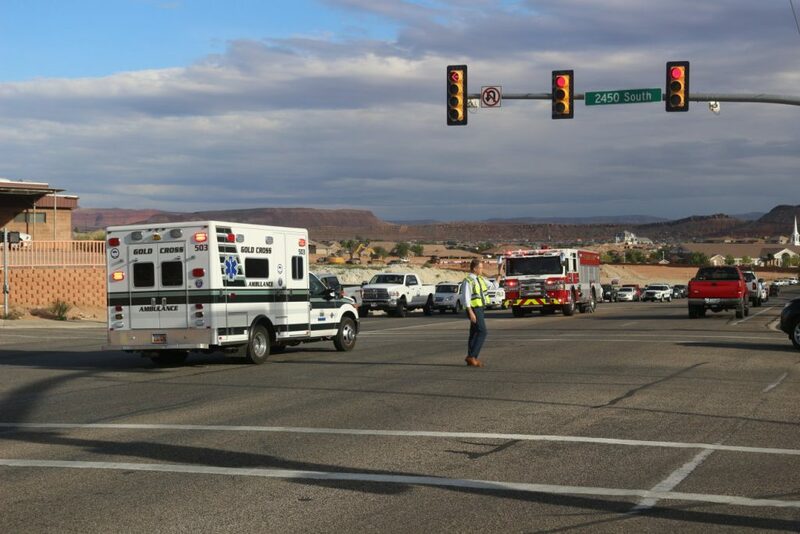 Around 4:45 p.m., St. George Police officers and other responders were sent to the intersection of River Road and 2450 South following reports of the collision. The motorcycle was northbound on River Road in the outside lane as it approached the intersection. At the same time a southbound truck on River Road made a left turn onto 2450 South as the driver “believed the intersection to be clear,” St. George Police officer Andy Mickelson said. 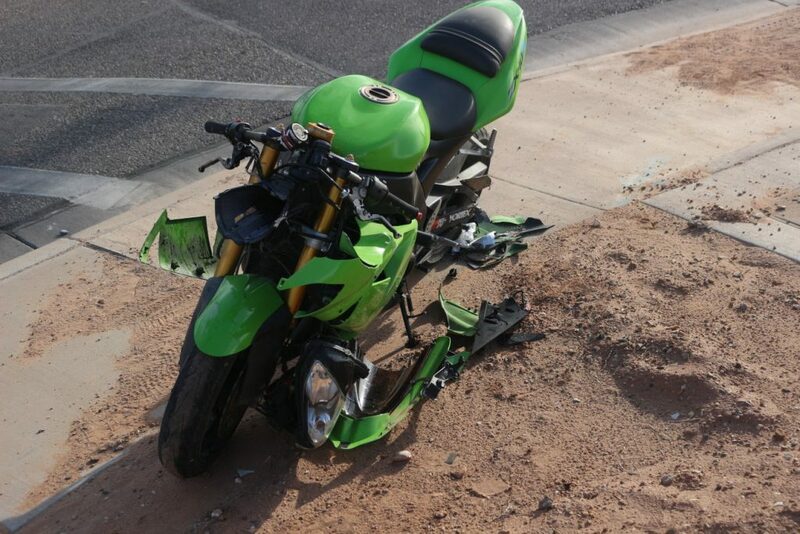 This is a common occurrence with motorcyclists, as over 40 percent of motorcycle collisions involve a vehicle turning in front of a motorcycle that has the right-of-way. As the truck went through the intersection, the motorcycle clipped its back end and went down. 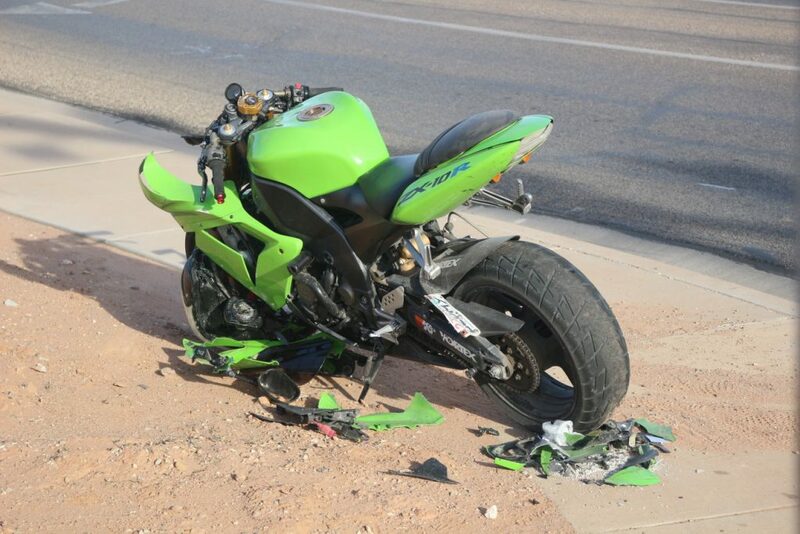 The rider was injured in the collision, though Mickelson was unable to confirm to what extent. 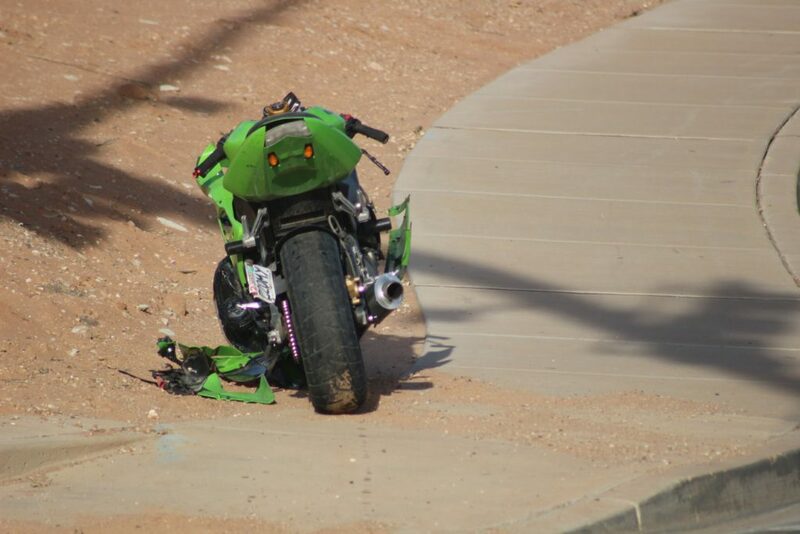 The rider was taken to Dixie Regional Medical Center by ambulance. Northbound traffic on River Road south of the intersection was blocked as responders investigated the crash, and the roadway was cleared by 5:20 p.m. The pickup truck driver was cited for failure to yield on a left turn. oh I forgot this accident was courtesy of the typical St George driver ..! Wake up guys! The first, and biggest mistake is on you! Nobody with an IQ over 40 would get on a bike and drive around this town. Firstly, because it’s not all that safe just driving a car around St. George; an area populated by primarily older, and younger drivers. Secondly, because everyone that gets on a bike anywhere should only do so with the full knowledge that, “They have to be right about everything at all times.” Who’s to blame will be the least of your worries once you meet the pavement; and nothing else will matter. You’d have a better life expectancy shooting smack. I’ve only been here 2 1/2 years and I’m really getting tired of the old ” I didn’t see him” excuse after someone turns left in front of you. 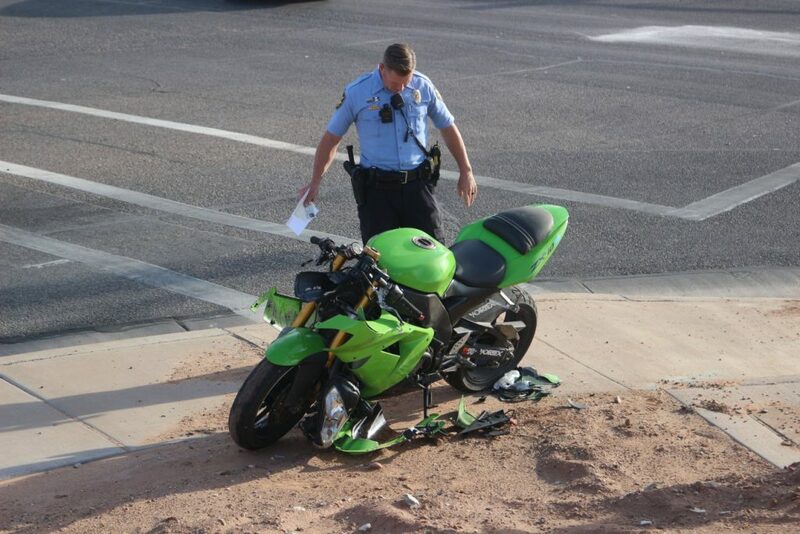 My god, you didn’t see a neon green motorcycle? You shouldn’t be driving. Hit a biker, go to jail.